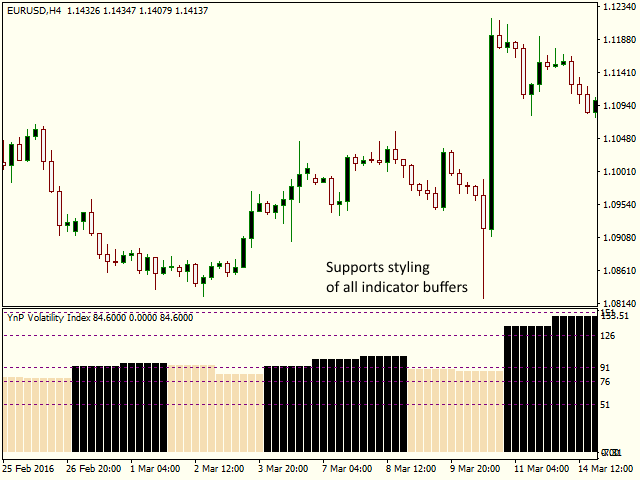 The indicator draws a volatility histogram for the selected symbol. It supports daily, hourly or monthly - calculation can be performed on any timeframe. Volatility Index allows you to check the current market conditions, predict the width of price fluctuations in the coming days, set stop losses at safe distances, limit entries by volatility. The indicator is very useful for trading bots that work well only on some historical periods and are vulnerable to small/large volatility. This version is designed for the MetaTrader 4. Volatility Timeframe - timeframe of the index. It determines the index you want to see - hourly, daily, weekly, etc. Recommended value - H1 or higher. The timeframe of the index must be equal to or greater than the timeframe of the current chart. Calculation Period - calculation period. The period in history bars. 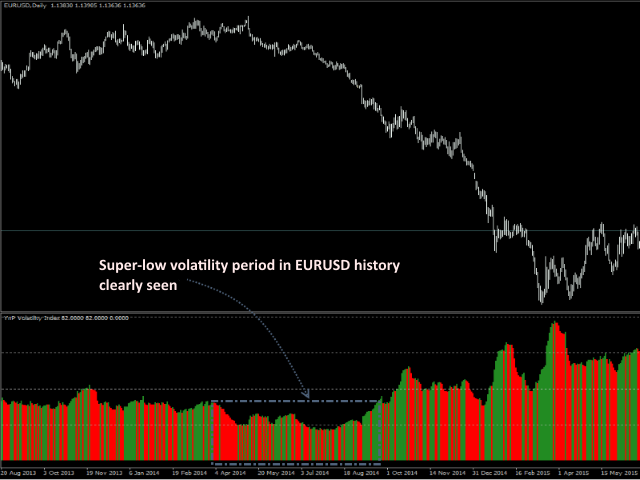 The volatility is calculated based on this period. 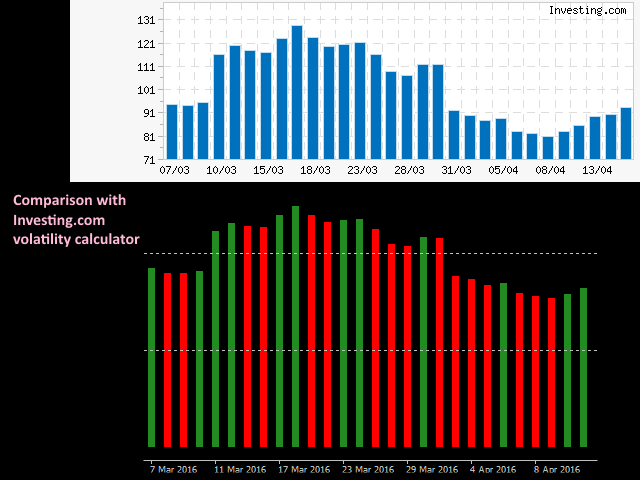 The higher calculation period makes the index less dependent on individual news fluctuations. The recommended values - from 5 to 30 bars. 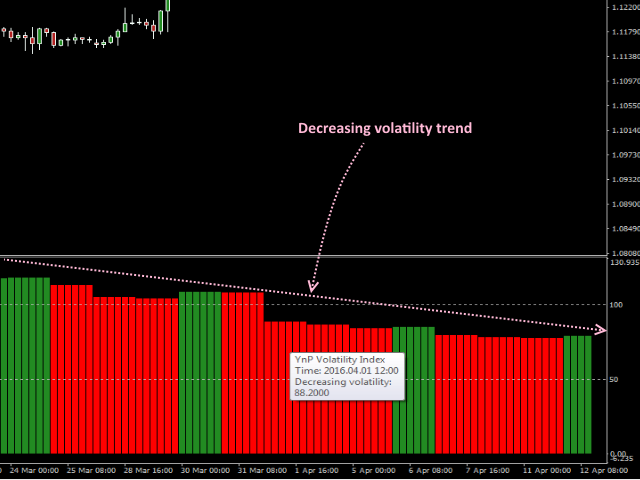 Include current bar - include the latest unfinished bar in the calculation of the volatility. Disabled by default.